Amber Mark’s childhood was spent moving between cities and cultures calling Miami, New York, India and Germany home growing up. Music was an early passion for Amber, yet she wouldn’t be discovered until uploading the self-produced track “S P A C E” to her SoundCloud account in 2016. Still one of her best tracks and a perfect starting point for new listeners, “S P A C E” has a schoolyard rhythm and a helicopter-whip type of production which sends heavy synths bouncing from ear to ear. “S P A C E” was later put on Amber Mark’s first EP titled “3:33 a.m.,” a cathartic collection of her SoundCloud songs—the majority of which were inspired by her late mother. “Lose My Cool” is another standout track on the EP which features Amber’s beautiful voice layered on top of itself along with crisp keys and a ping pong synth that pulls you left and right, as any good bossa nova beats do. 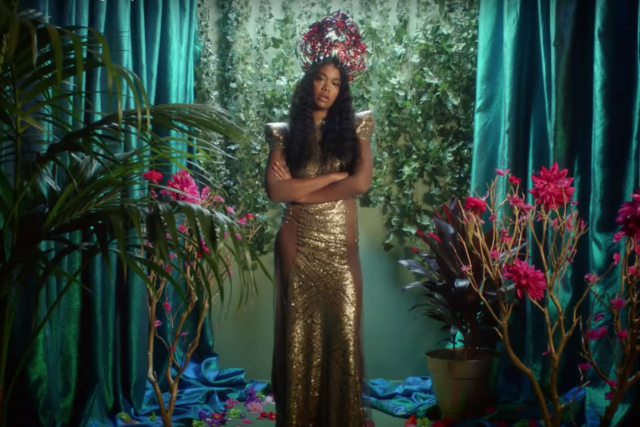 On her second EP titled “Conexão,” the track “Love Me Right” might be her best work to date. Clean piano chords and minimal strings build throughout the song as does Amber’s exasperation for someone to love her the right way. It’s accessible and relatable and easy to understand why it has become her most played song on Spotify. Additionally, ADP has a solid cover of this song on the “Love Me Right (Remixes)” project, adding a nice club bounce without overpowering the relatively unchanged vocal and song structure. Amber’s staccatoed snap “Why won’t you?” at 2:10 is a personal highlight. Although she prefers to work alone, Amber has appeared on a number of different projects including the latest Chromeo and Dirty Projectors albums. Amber also worked with DRAM on the track “Put You On,” which feels like her return to New York statement. With other producers and artists looking to work with the budding, versatile star, expect to see her name appearing on many more projects in 2019. The stage is set for Amber Mark to take over the music world in 2019 and beyond. Her artistry has been forged through years of turmoil and tumble in the oceans across the world. She has finally arrived on our beaches ready for the finding. That ultra rare piece of pink sea glass, her value is apparent to all, as long as you know where to look. Taking shape over decades, shards of broken mason jars, boat lights and even Schlitz bottles can be transformed into beautiful bits of sea glass that glisten in the sun amongst the rocks and sand across the globe. Those that know where to look can come away with a bevy of discarded or overlooked treasures. Finding new music often mirrors this experience. Luckily, 88Nine’s Tarik Moody has dutifully scoured the shoreline and brought back his haul to share with his “Artists you should watch in 2019” list. The brass ring of this bounty? Amber Mark. The Tennessee born, mezcal-drinking world citizen is one proper debut LP away from superstardom and no time is better to explore her story and her talent.